Lightweight X Fold 4 Wheeled Rollator Foldable Walker. 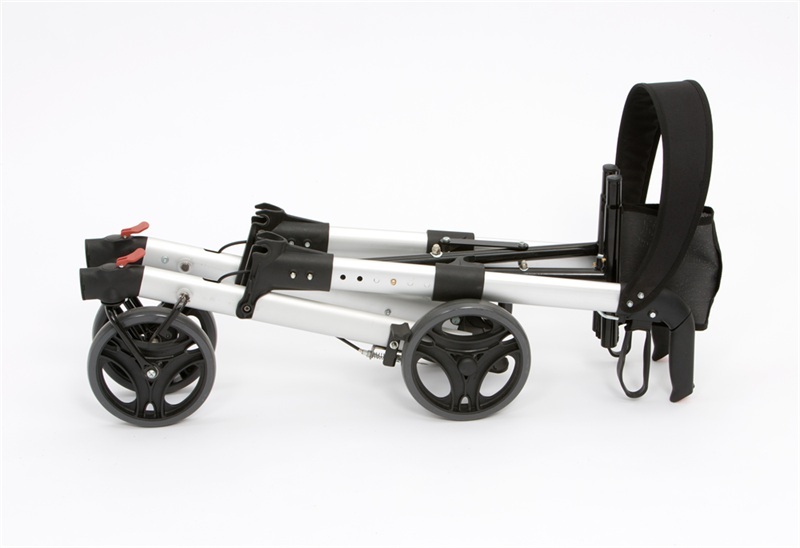 Suitable for indoor and outdoor use, the X Fold Rollator has a push button height adjustment on the handles, ergonomic loop hand brakes with internally routed cables, canvas seat, removable shopping bag, lockable front castors to prevent swivelling of the front wheels where required and light reflectors. 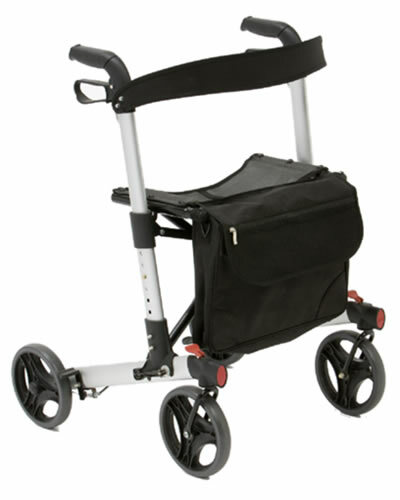 This is a class Rollator, very stable and sturdy, firm, comfortable and good-looking. I had not done my homework and for me it was too large also I am frail and would be unable to readily fold it and lift it into the boot of my car. I was reluctant to return such a well-built piece of equipment so discussed it with my Physiotherapist. She too assessed that it was not for me. I am rating the Folding Rollator as \'poor\' because it was poor for me.